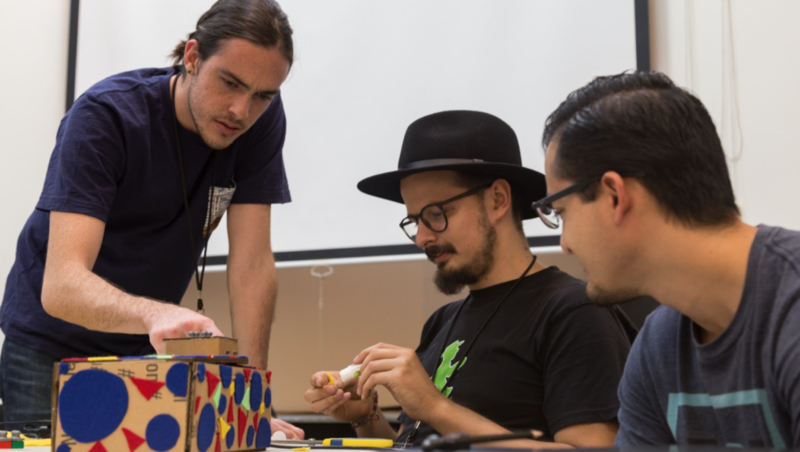 Arduino goes to summer school in Costa Rica! 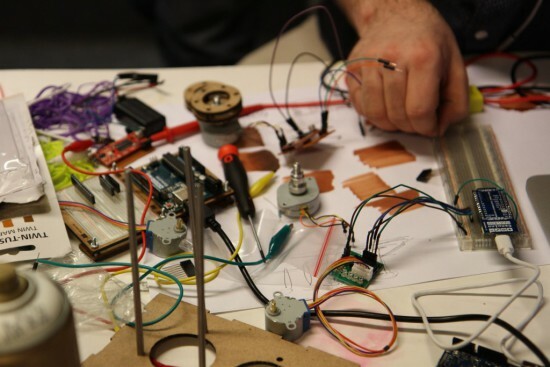 Back in May, the Arduino team ran a physical computing workshop as part of the summer school program organized by the Copenhagen Institute of Interaction Design. Each workshop was taught in the context of the United Nations Sustainable Development Goals. 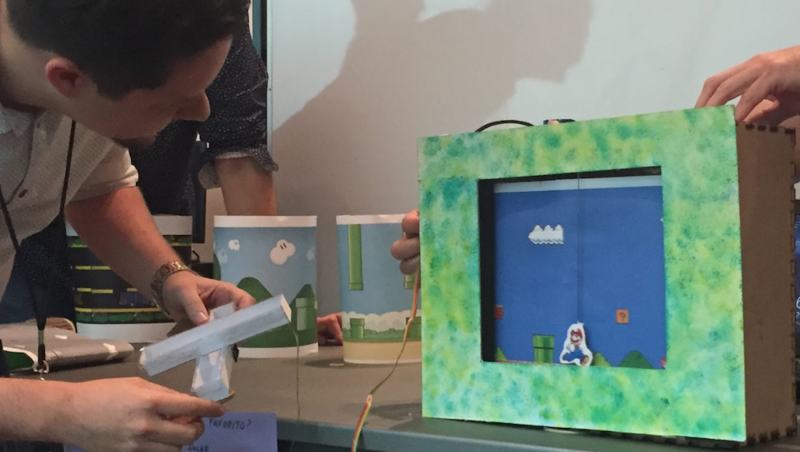 The one-week long class focused on designing physical and interactive objects that can help kids understand the building blocks of the digital world and its foundation (e.g. the binary system, barcodes, RGB colors, digital images, digital sounds, programming, laser printing…) in an experiential and playful way. Italian pedagogues have, at different stages, imagined innovative learning approaches where children are the center of their own learning process through a direct experience of phenomena and concepts applicable in the real world, which is a radical departure from the classic lecture-based system. To implement this active and experiential learning approach they also designed tools that help children discover abstract concepts through play like, for example, the Montessori Pink Tower to introduce the concept of scale and the decimal system, or the tactile workshops by Bruno Munari to explore the sense of touch and textures. In the XXI century, human experiences are increasingly mediated by digital tools, and the world we live in is going through a radical digital transformation which requires a deeper understanding of its complexity. 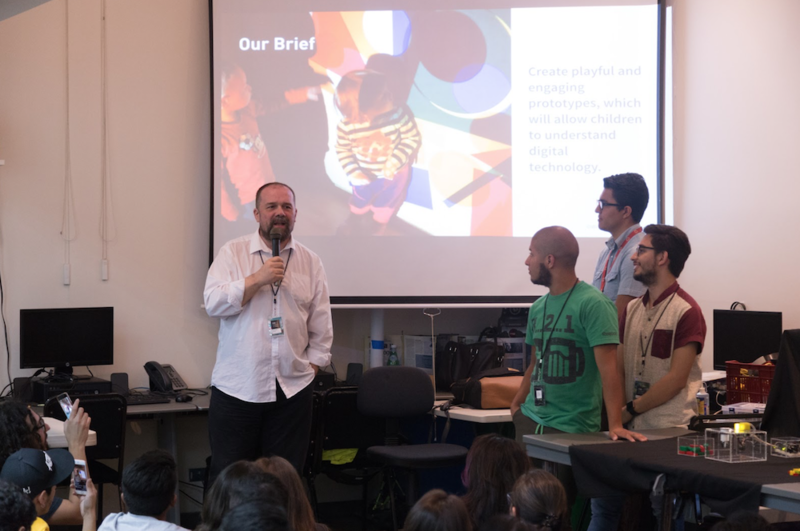 To make this world more accessible, we need to encourage children to understand how these digital tools work and enable them to become active citizens of the future, rather than passive learners. A handful of playful and engaging experiences have been designed by the students, which will allow children to understand a specific technology, such as how solar panel works, how to express colors in binary language, how RFID tags are able to activate objects, and even identify the principle behind accelerometers that we use everyday in video games controllers. 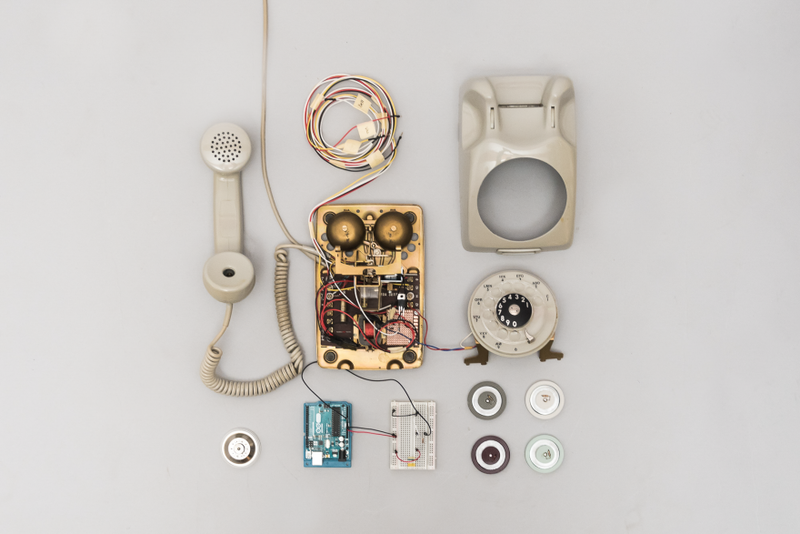 A winner in this year’s Core77 Design Awards, the “Internet Phone” allows one to access websites with the nostalgic interface of a rotary phone. 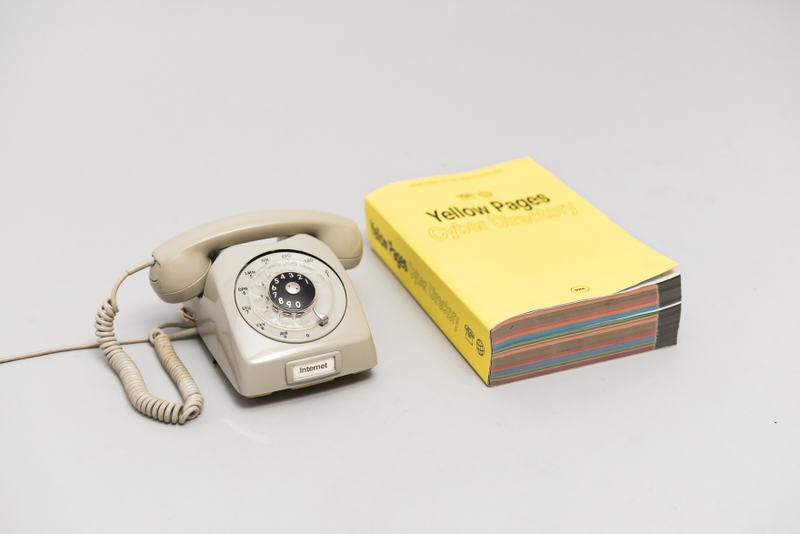 In order to “get to” a certain page, one must look up a website’s IP address in a physical phonebook Internet directory and dial the necessary digits using the rotary. It then reads the website to the user via one of four different token-selected modes, including an “incognito” setting, which reads the site in a sort of computerized whisper. 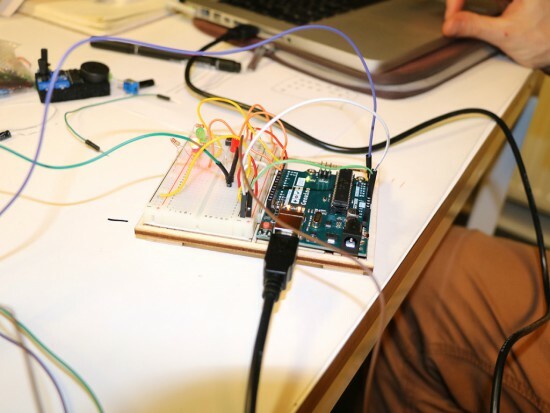 The phone uses an Arduino for control, and was developed as part of a physical computer course taught by Dario Buzzini, Ankitt Modi, and… none other than Massimo Banzi. 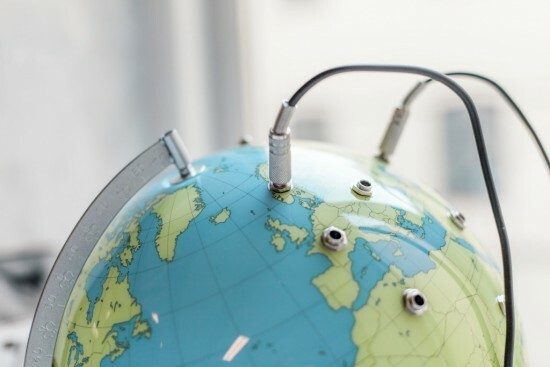 The device was put on display at the Copenhagen Institute of Interaction Design and the Langelinie Harbor, also in Copenhagen to amused and astonished responses. Each step in the user experience is comparable to the process that a browser takes when retrieving a website. Looking up the IP addresses in a phone book is similar to how a browser gets an IP address from DNS (Domain Name System) directories. Dialing the twelve digits and waiting for the phone to retrieve the HTML content mimic how a browser requests data from servers. The voice-to-speech reading of the website is comparable to how a browser translates HTML and CSS code into human understandable content. You can read more about this project, which “leverages existing telephone behaviors to demystify the invisible workings of the Internet,” on Core77 here. 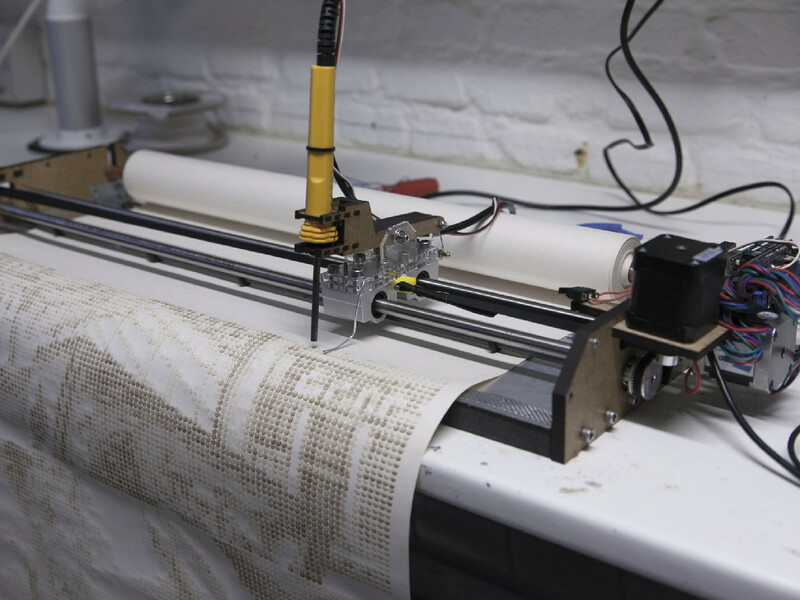 Inspired by the traditional thermal printers, the PyroGraph is an experimental plotter that uses a soldering iron to burn images onto paper. 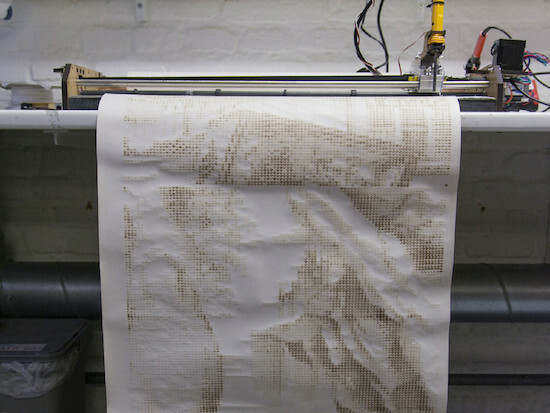 Created by the team of Bjørn Karmann, Lars Kaltenbach and Nicolas Armand, PyroGraph works by analyzing any picture and then converting it into dots that are scorched onto a piece of paper with a 450 °C tip. The time of contact between the iron and the paper determines the grayscale of the dot?—?the longer it presses against the paper, the darker the dots get. 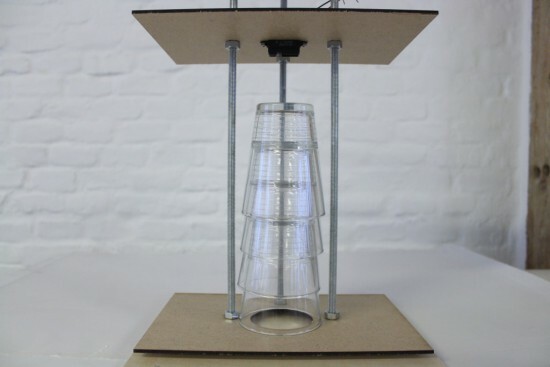 The machine uses a paper roll (so the length of the printed piece can then be up to 100m) and a head moving on a fixed x-axis, controlled by servo motors and a custom software developed by the group of Copenhagen Institute of Interaction Design students. But that’s not all. 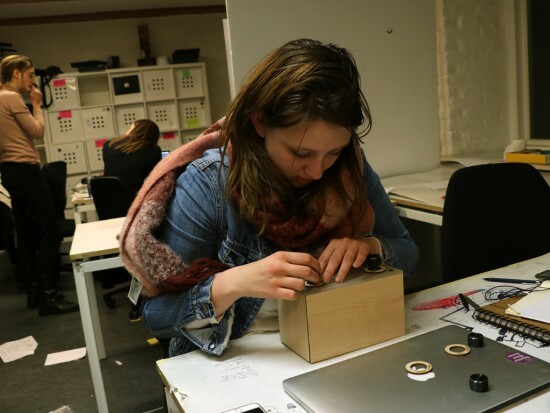 The PyroGraph will also listen to the ambient noise within its environment to make a connection between the space and the printer. The drawings will be distorted depending on the sound activity of the room in which it will be displayed. 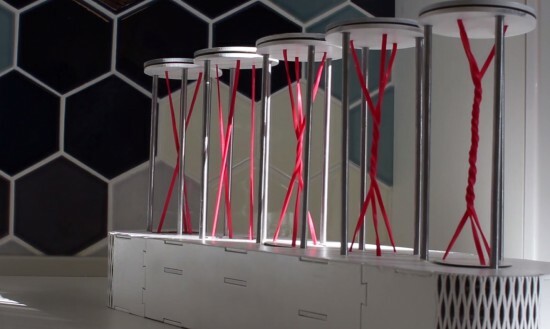 You can read more about the project here, and see it in action below! 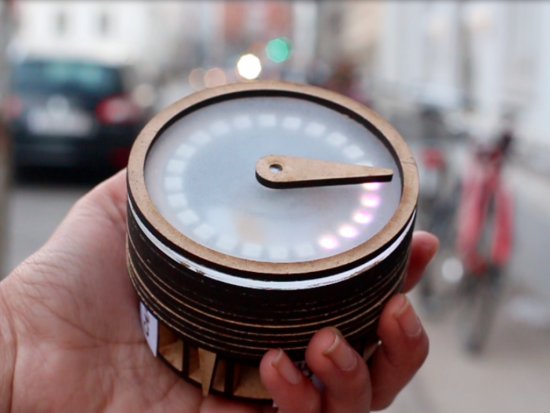 A group of students (Kate Twomey, Leila ByronDaan Weijers, Luuk Rombouts) at the Copenhagen Institute of Interaction Design explored the creation of a tangible user interface displaying personal calendar’s meetings without using a screen. The visual forecast is used to create awareness, while capacitive sensors in timely make it easy to adjust busy days by simply grabbing all three prongs of the chosen day. timely will then distribute your time more evenly throughout the day by rescheduling events and meetings, while automatically notifying attendees if needed. Use Fair speaker and donate to musicians! We wanted to bring some awareness to this issue with our project. So, with this in mind we envisioned Fair Speaker, a speaker that allows you to donate money to artists while you listen to music. Just plug in your device, and start listening. You then set how much you want to donate the artist, compared to how much the usual streaming services pay them. For instance, Spotify pays around 0.0003$/min to the artist. This means that for them to get 1$, you’d have to listen to their music for 55,5 hours. If you don’t think that’s fair, you can set your own rate. 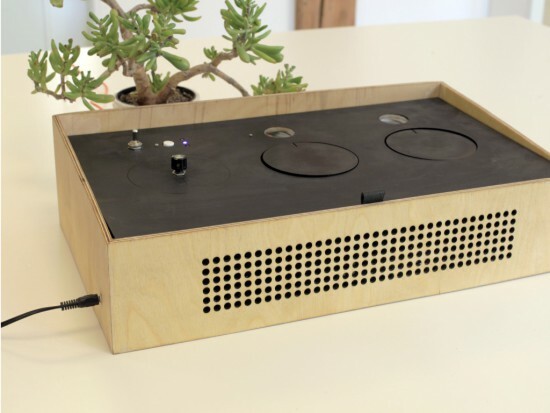 The speaker keeps track of how long you’ve been listening and how much money you’re donating. 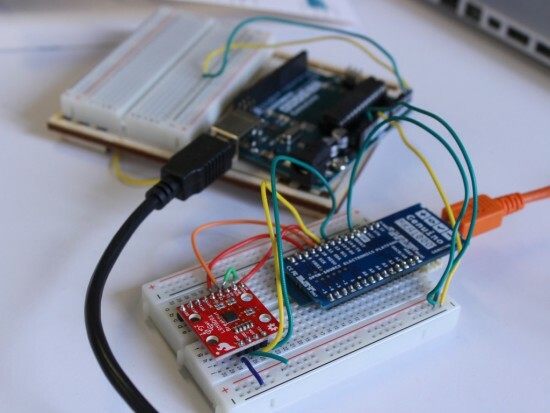 The system is powered by a Genuino MKR-1000, which is also used to connect wirelessly to the PayPal API, used to send your donation. When you’re done, just press Pay and the money is sent to the Fair Speaker service, that then distributes it to the artists you selected when signing up. Enjoy your music. Be fair to the ones who made it. The project was developed during the Interaction Design Programme at CIID with the help of Massimo Banzi and Dario Buzzini. 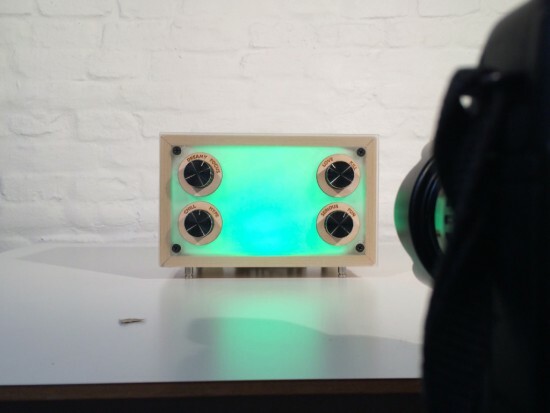 Moodbox is a musical device created by a group of students (Iskra Uscumlic, Cyrus Kamath, Luca Mustacchi, Dario Loerke) to explore how we might set the mood in a studio space through music. They created it using Genuino Uno during the Interaction Design Programme at CIID with the help of Massimo Banzi and Dario Buzzini. 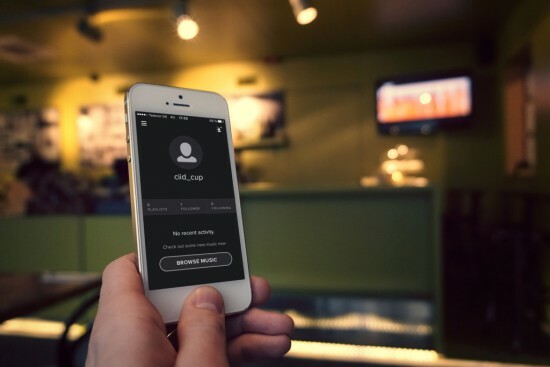 Taking inspiration from the classic bar jukebox and its ability to influence the mood, we recognized that music and the atmosphere created by it are inextricably linked. When selecting a song to play in a social setting there is always a sense of negotiation involved. The person choosing has to consider the environment, the people around them, the current mood and that they would like to create. With this in mind we set out to explore new opportunities for interaction in the communal space, using the environment of the studio as the setting. Emotions may be combined and fine-tuned with retro-style rotary knobs to dial-in feelings and get the perfect song choice. Like a jukebox, songs are queued once the selection is made. To provide visual feedback, lights also respond to the changes in mood, enhancing the overall influence on the space. Sound Blocks is a tool to teach children and adults what sound is made of. 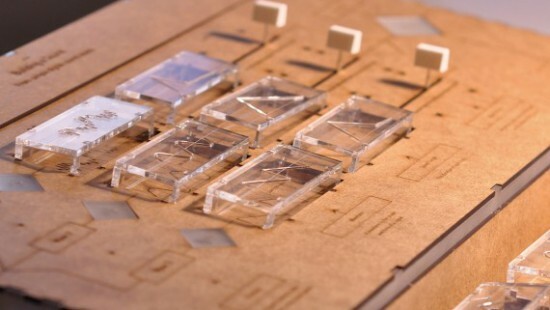 The project was shortlisted in the Expression category of the IXDA Interaction Awards and it was developed by John Ferreira, Alejandra Molina, Andreas Refsgaard at the CIID using Arduino. Sound blocks first and foremost was created as a tool to experiment with sound, it is playful and engaging.